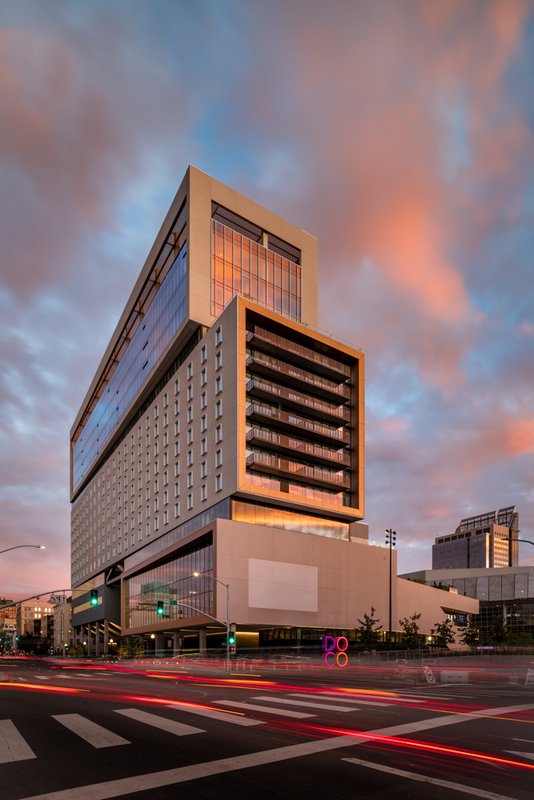 We had quite the nice sunset yesterday evening photographing the new Kimpton Sawyer Hotel in Downtown Sacramento (thanks to the predictions of Skyfire/The Photographer’s Ephemeris). Besides dealing with the crowds from Disney on Ice letting out from Golden 1 Center, this was a pretty straightforward photo. I had to use my 19mm tilt shift, shifted about 10mm up, to get it all in. I also used a circular polarizer to take the glare off of the windows and a 3 stop neutral density filter to get a 5 second exposure for longer light trails from the passing cars.